By Jason. Thirty years ago, the battle for the best in thrash metal was just getting started. Megadeth recently formed; Anthrax released their debut album, Fistful Of Metal; and Slayer was only a few years from releasing Reign In Blood. 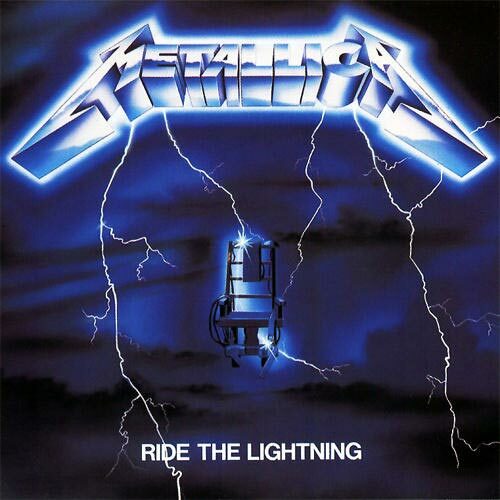 But on July 27, 1984 — exactly thirty years ago this Sunday — four California metal heads effectively ended the competition as it was just getting started with the release of their band’s second studio album, Ride The Lightning. Metallica was on the path to becoming synonymous with metal music. And they would never look back. As Ride The Lightning’s 30th anniversary approaches, much can be said about the album. The lists have been written and I’m certain this week there will be many more. For my own contribution, there’s the remarkably good production quality; the experience of hearing Kirk Hammett break into his own as one of the great thrash metal soloists; and, of course, “Fade To Black,” a song that should forever be studied as the quintessential metal ballad. But now, thirty years later, my appreciation has matured like the album itself. I’ve come to appreciate Ride The Lightning’s true genius: Cliff Burton, Metallica’s 22-year-old bass player whose incredible contribution to the album rearranged the face of thrash metal with multi-part harmonies crafted by his musical training, songs inspired by his bookshelf, and bass lines so unique that even today they are misheard as lead guitar. 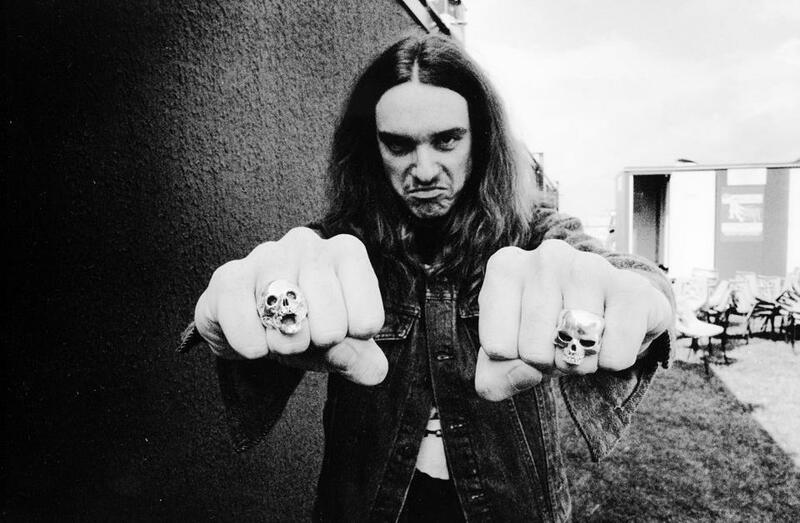 If any single element of Ride The Lightning is responsible for Metallica taking over the spot of all-time greatest thrash metal band, it is Cliff Burton. From Metallica’s first album, it was clear Burton was a bassist like no other. So full of raw metal energy and creativity, he played bass damn near like he wanted to be the entire band. Nothing showcases this more than “(Anesthesia)—Pulling Teeth,” Burton’s wah-wah driven bass solo on Metallica’s debut, Kill ‘Em All, which is often referred to as Eddie Van Halen’s “Eruption” for the bass. In this single track, recorded one year before Ride The Lightning, Burton displayed not only his overwhelming technical skills but his metal ingenuity and passion. After “Fight Fire With Fire” ends in a sonic explosion and Lars Ulrich’s pounding drums introduce Ride The Lightning’s title track, it is Burton again who wrote the song’s singeing dual-guitar harmony. Later on the album, Burton is also credited with having written the harmony for “Creeping Death,” Metallica’s ode to the biblical plague of the death of the firstborn. Metallica’s use of harmonization would eventually become a trademark associated with James Hetfield, but the early credit belongs to Burton. Beyond the music itself, Burton also inspired the title of Ride The Lightning’s sole instrumental track, “The Call Of Ktulu.” The title comes from the work of horror-fiction author H.P. Lovecraft, who Burton introduced to the rest of the band. Metallica was reportedly so enamored with the author that the band chose to name the final track of Ride The Lightning after Lovecraft’s short story, The Call of Cthulhu, a bizarre tale of an evil deity living under the waters of the South Pacific. And this was all Burton just getting started. In another year, Metallica would release Master Of Puppets, the greatest album of the thrash metal era. As before, Burton’s musical training and unparalleled bass playing would be key to the album’s excellence. Tragically, as all metal fans (and most dabblers) know, Puppets would be Burton’s final album with Metallica. On September 27, 1986, Burton was killed in a tour bus accident in Sweden. His death would leave a creative void that was never truly filled. 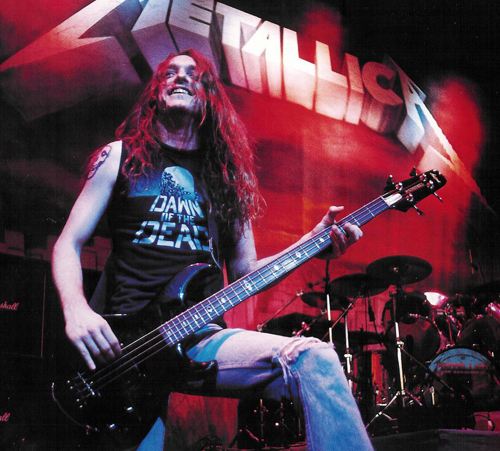 And although a resurgence of sorts has occurred in the past few years, Burton’s death was the beginning of the end of Metallica’s thrash metal core. For this 30th anniversary of Ride The Lightning, if it’s been a while, be sure to throw on your copy of the album. Take out the ear buds and turn on the speakers. And for god’s sake, turn it up as loud as possible. Even with the reverb, notice how Hetfield’s voice seems so much more authentically metal than the unintelligible growling of today’s bands. Play the hardest air guitar of your life during the second half of “Fade To Black.” But most especially, when you feel the intensity of the acoustic-to-electric transition in “Fight Fire With Fire,” as you bang your head to the intro of “Ride The Lightning,” and when you pound the nearest couch cushion during the bass line intro to “For Whom The Bell Tolls,” remember that these were the moments that shot Metallica to the top of thrash metal. All thanks to Cliff Burton. I think the other interesting way to look at Cliff Burton’s influence on Metallica is to look at what happened to the band after he died. “…And Justice For All” wasn’t markedly different in style, but then comes the Black Album. The song structures go pop with traditional verse-chorus-verse-chorus arrangements and far less adventurous riffs from a technical standpoint. Do you think this would’ve happened anyway — that this is just where music in general was headed — or do you think it’s a direct result of the absence of Burton and his classical training? I think Hammett’s quote nicely sums it all up. They lost Cliff, who I firmly believe was more thrash metal to the core than the rest of the band, and so the anchor was gone. But the band was also sucked into the movement of the era. On listening to Justice again recently, you can really tell that the thrash era is over for them. With some limited exceptions, the speed and in-your-face feel is no longer there. And Jason Newsted’s bass sounds terrible! Apparently, according to that same 1988 interview, Newsted’s playing so closely mirrored Hetfield’s rhythm guitar that Newsted got washed out in the mix. Would Burton have allowed that to happen? I doubt it. Overall, to answer your question, I think Burton’s death was at least the catalyst for the shift that ultimately culminated in the Black Album. Had Burton lived, however, I still expect that the overwhelming forces of Hetfield and Ulrich would have moved the band to the mainstream anyhow, but I still cling to the idea that the thrashing and truly creative metal version of Metallica may have been around for another album or two. This, of course, raises a more interesting question for me that is nicely summarized by this t-shirt: http://metalsucks.junipconcepts.netdna-cdn.com/wp-content/uploads/2014/07/It-Should-Have-Been-Lars-2.jpg. thanks for writing this. you hit the nail on the head. cliff was the original driving melodic/musical force in metallica. i consider myself a true metallica fan through all their works so i can say James learned a lot from cliff and carried a lot of his melodic/harmonic sensibilities through other albums. i actually love and support all metallica’s works but it is undeniable what cliff did for the band and rock/metal in general. Heres to Cliff! Thanks for the comment. Although I haven’t been to any of the shows this year, it is nice to see that other than a few new album tracks, the bulk of the songs are from the Burton era. No coincidence there!